The anatomy of the ear can be a little confusing, as it is responsible for not only hearing, but also balance. Our unique multidisciplinary team at GKENT is specially trained to treat a variety of disorders that affect the ears. With expertise in the treatment of common conditions like earaches and ear infections, to more complicated concerns hearing loss and balance disorders, our team is equipped to provide exceptional patient care to ensure advanced, personalized, and effective care plans for each patient. View a sampling of common ear and balance disorders below. A balance disorder can lead to unsteadiness making it difficult to maintain an upright position. Symptoms of a balance disorder include lightheadedness, disorientation, or a sensation of movement, spinning, or floating. One of the most common reasons for doctor visits in adults is dizziness. Dizziness is an all-encompassing term including everything from feeling faint, lightheaded, weak, or unsteady. Ear Infections are most common in children and occur when the Eustachian tube becomes blocked resulting in fluid buildup. Ear Trauma encompasses damage done to the outer, middle and inner ear as a result of injury, object intrusion, or listening to loud music. Ear wax is supposed to trap dust and dirt particles to prevent them from reaching the eardrum. There are home treatments to soften ear wax but a GKENT physician should be consulted if there is indication of a hole in the eardrum. 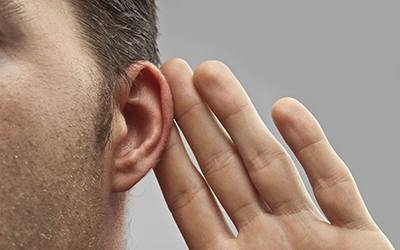 Mistreatment of or the lack of treatment for earwax can lead to blockage. An earache is a sharp, dull, or burning pain in one or both ears. Earaches can be a symptom of many things ranging from an ear or sinus infection to Arthritis to an injury. Vertigo, a disorder of the vestibular system in the inner ear, is a dizziness sensation where one feels motion when in fact they are stationary. Symptoms often include nausea, vomiting, and difficulty being upright. A Balance Evaluation includes stimulation of the vestibular, or balance, system which might include following lights with one’s eyes or measuring balance while standing on unsteady platforms. A personal history is also included in a Balance Evaluation in an effort to identify triggers leading to unsteadiness. There are ear wax removal home treatments available; however, in office procedures include the use of irrigation or a small plastic spoon called a curette. Ear Tubes are tiny cylinders surgically inserted into the eardrum to help ventilate the middle ear and prevent fluid accumulation from behind the eardrum. Tympanoplasty is a procedure to reconstruct the eardrum and/or small bones in the middle ear and can be done through the ear canal or through an incision behind the ear.